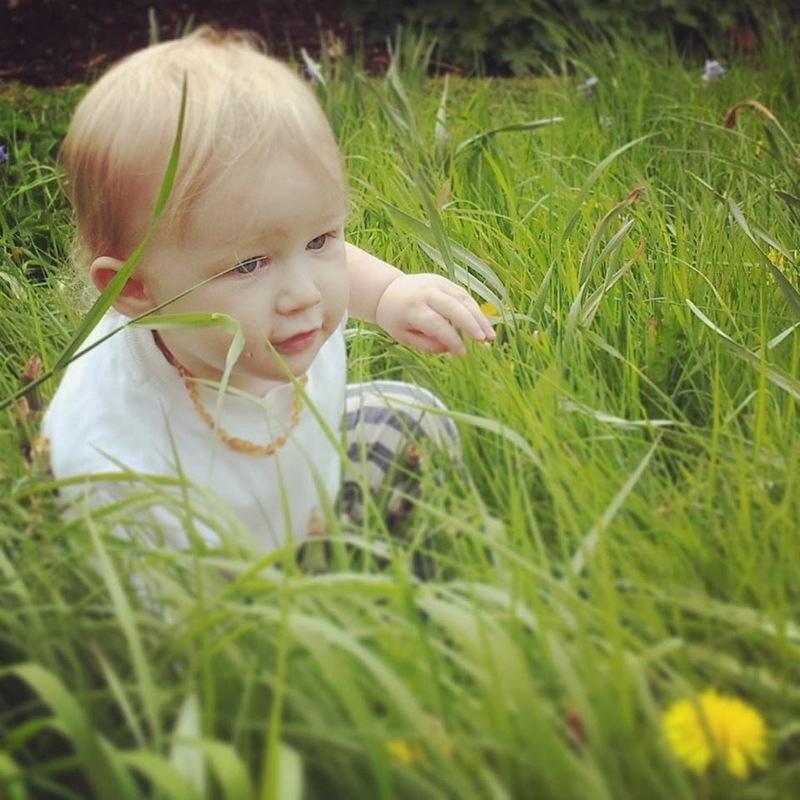 Staying Wild: Baltic Amber teething necklaces explained. Baltic Amber teething necklaces explained. What are they? How Do they work? Are they safe? Amber teething/ children's necklaces, bracelets and anklets are items of jewellery made from small beads of Natural Baltic Amber. What exactly are Baltic Amber children's Necklaces? These forests were eventually covered by the ocean, an area which is now known as the Baltic Sea. Raw Baltic amber floats just under the surface level of sea water. It is tossed and turned by the ocean, before collecting near shores around the Baltic region. 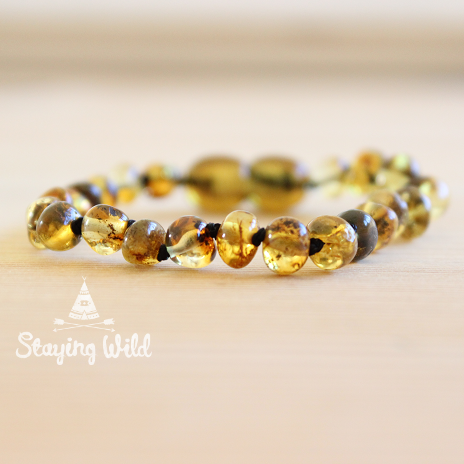 Natural Baltic amber is considered the very finest amber in the world. Wearing amber has been a long held tradition in Europe for generations. It was highly revered among the Celts, ancient Nordic and Scandinavian peoples. A beautiful feature of Baltic amber is that it holds the memory of all the millions of years it has seen on earth. Baltic amber dates from around 44+ million years ago. It often contains pockets of air trapped inside that had been on earth all those millions of years ago, as well as inclusions of small partials such as plant matter, leaves and twigs, specks of rock and dirt and if your lucky even prehistoric insects. Read more about natural Baltic amber and it's uses throughout history. Baltic amber has been traditionally worn in Europe for the belief in its completely non invasive way of providing pain and stress relief. Amber necklaces have been commonly used to help sooth the discomfort of teething. 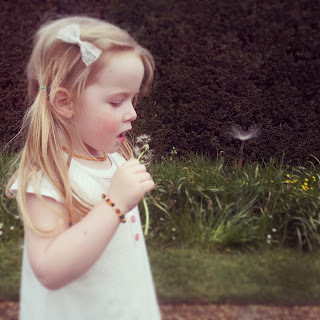 It is because of their non invasive nature, sitting against the skin, and not something needed to be taken/ingested, that have made them a popular choice for parents, with amber necklaces being a common sight on children around Europe for generations. (Also being sold in pharmacies in countries such as Switzerland). However they are by no means exclusively for children, they offer the same benefits to anyone of any age. Baltic Amber is prized for its natural beauty and the succinic acid contained is a scientifically examined substance used in contemporary medicine. Baltic amber naturally contains succinic acid (another name for Baltic Amber being 'Succinite') Succinic acid has many positive effects on the human body and had been used through out history for its analgesic effects. Succinic acid has since been used around the world in the pharmaceutical industry in a wide variety of treatments, from cell rejuvenation, immune boosting medicines, to pain relieving, anti inflammatory and stress relieving treatments. It has been reported to help ease a wide variety of issues such as anxiety, stress, headaches, migraines and joint pain to period pain and hormonal issues such as PMT. As with all natural remedies, effects are doing to differ from person to person, Baltic amber will never act as 'cure' for a health issue, but instead may offer some relief. If you feel as though you have any health concerns, please always seek medical advice. This question is extremely important to me. To date there are no known cases of any incidents of harm caused by anyone wearing Baltic Amber jewellery, and they have been around for a long time in many countries in Europe. The key is to buy safely and take into consideration the manufacturing methods. In no way shape or form should they be thought of a toys for children. THEY ARE NOT A TOY. They are not toys, they are not for chewing or playing with, the idea is they work through skin contact when worn. They are items of jewellery and should be treated as such. Just like any other item of jewellery you may wish your child to wear for what ever reason. As long as this is understood, along with following safety guidelines and parent intuition, I strongly believe they are a beautiful and brilliant alternative to the use of any unnecessary medication and have served many families across Europe for generations.